CLICK HERE TO LIKE REVIEWZ & NEWZ ON FACEBOOK and never miss another giveaway. Thanks to our friends at Andrea's World for this giveaway for a Shark Vacuum! The holidays are here. It's time to deck the halls. As much fun as the decorating is, we cannot how important it is to also clean the floors. Of course that is not as glamorous as hanging lights and stringing popcorn, but it is even more vital. From fallen tinsel to evergreen needle to gingerbread crumbs and more, holiday fun can quickly turn into a Ho Ho HOrrible mess. The added mess along with the extra 10 things added to your daily to-do list can make for a not so joyful time. At least it could if the Shark Rocket Powerhead did not make holiday messes into holiday memories incredibly fast. Remember when there was flour all over the floor from the cookies you let the kids help you with? Well you can easily forget the mess, the Shark Rocket Powerhead has already made it disappear. The memories of baking and bonding aren't going anywhere though. The Shark Rocket Powerhead is so powerful. 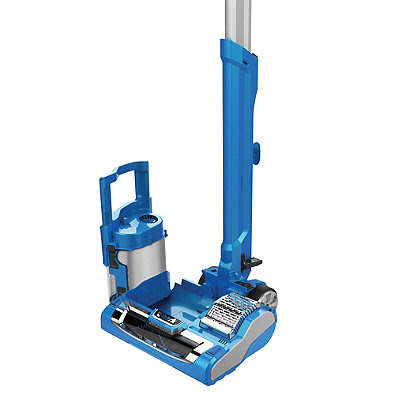 It proves that a vacuum does not need to be big, bulky or heavy to get the job done right. The Rocket Powerhead offers deep carpet cleaning. With fingertip controls on the handle, you can easily take it from carpet to hard floors and back and always get a thorough clean. The adjustable telescopic wand ensure ideal comfort for all users and makes it even more storage friendly. With very limited space in our home, every bit of space is important, so I love the small footprint this leaves in that respect. Of course since it is also so light, you can store it almost anywhere, because taking it out will not be difficult at all. I really love the unique pop up dust bin. All it takes is a tap of the quick release foot pedal to access the bin and the press of a button to empty it. It could only be easier if the vacuum walked to the trash for you. It's in cases like this that simplicity can be the biggest luxury. would make a great gift ,because who doesnt always love and need and want a shark vacuum,! The Shark Rocket Powerhead Vacuum would be a great gift.... but, I'd keep it for myself. Need to think about getting a new one soon. All the vacuuming of pet hair is definitely taking a toll on my current vacuum. My husband love cleaning and having a clean house so he would love this. It's a great gift because it's a trusted brand, powerful and will last for years. I'm sure it has a great warranty also. Oh would be a wonderful gift and save so much time! I love that it can go from floor, to area rugs, to carpet! Oh a little miracle worker! 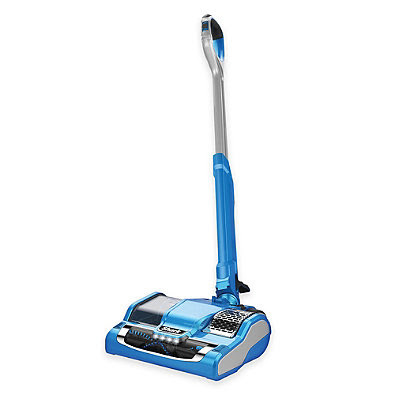 The Shark Rocket Powerhead will make a great gift because it will help a family keep their floors clean. Its a great gift because healthy cleaning is the best way to go! Anyone with a dog or kids would love this! It would make a great gift for my college student!! It doesn't take up too much room and it's powerful enough to do a great job! I think it would make a great gift because its a small size and makes vacuuming easier! I like that it is heavy duty but only weighs 9 lbs sound it's not too heavy. I like that it does carpet or hardwood floors. It would make a great gift because its lightweight and does carpets or hardwood. This would make a great gift because it helps with house cleaning and is heavy duty. It would be a great gift because of having features like a removable brush roller. This would make a great gift because it's something that would be used daily! The features on this are AWESOME too!! 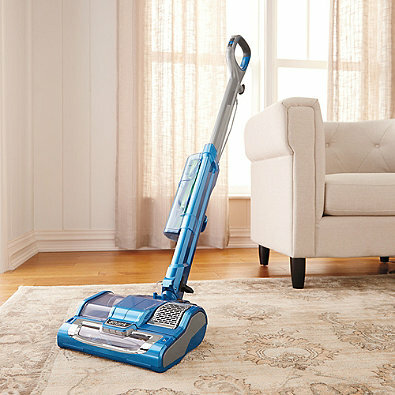 The Shark Rocket Powerhead vacuum would make a great gift because it is powerful yet lightweight, goes from carpet to hard floor, and the roller can be removed and rinsed off. 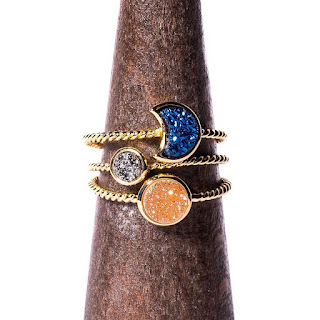 This would make a totally great gift.. for me! HAHA! My vacuum is in bad shape and every time I see a Shark commercial I'm telling the hubby how badly we need one! Thanks for the chance! I think the Shark would make an awesome gift because it is the gift of time! When a vacuum works well it cleans faster and better making subsequent cleanings faster and easier! I would love to have this as a gift to me! My old vacuum is over 7 years old, it's about to kick the bucket, I need a new one soon!